Club Penguin Cheats by Mimo777 Club Penguin Cheats by Mimo777: Club Penguin Rainy Day Background & Bean Counter Update! 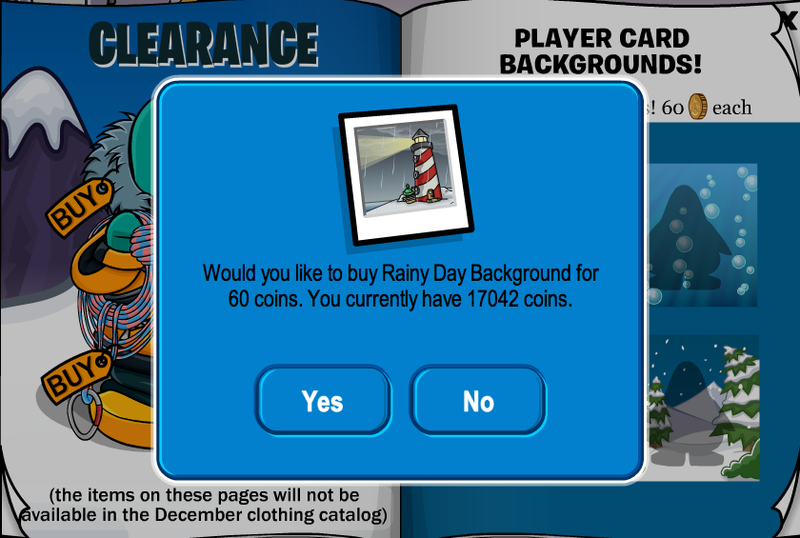 Club Penguin Rainy Day Background & Bean Counter Update! Woot! 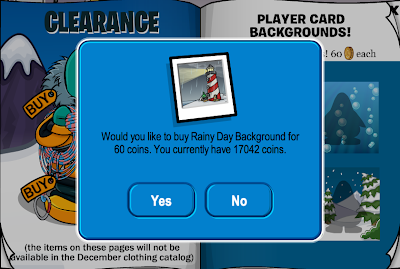 Now all penguins, including non-members, can get the Rainy Day Background! So, if you were not able to get this background when it came out, go to the Gift Shop and get it now! Also, Club Penguin has updated the music on the Bean Counters Game. You should really check it out! Thanks to all you awesome penguins that told me about these updates! You rock! Try clearing your cache! That happened to me, too. If you don't know how to clear your cache, contact CP Support! Hey, Anonymous! Try clearing your cache to hear the new music. This is probably a glitch. 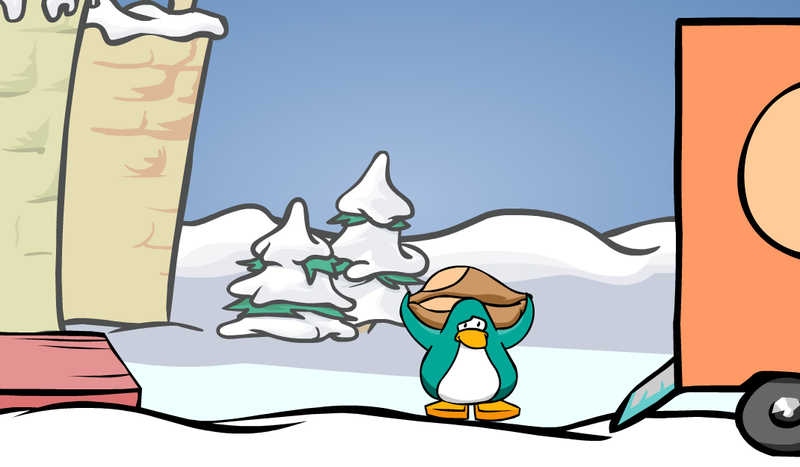 It has been happening to some other penguins, hopefully it will change for you soon. So all they added was a few more beats? Right? the music doesnt seem very "updated"
I dont hear anything different in beancounters and i cleared my cache. 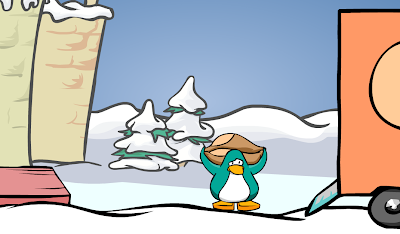 also where and how much are the card jitsu water cards? THANKS but umm wats a cache? Hi. Mimo already posted about that and it's not really a glitch, but good spotting without mimo! The card jitsu water cards are available from places like target and toys r us. There are different sets so they vary in price. I'm glad it was just a glitch, that background is quite cool. I'm sure some non member penguins will like it!